U.S. president-elect Donald Trump has vowed to bring jobs back from Mexico and China. Chris Hall looks at the likelihood he'll set his sights on Canada. U.S. president-elect focused on bringing jobs back from Mexico and China, but is Canada safe? There wasn't much surprise when the United Steelworkers officially endorsed Hillary Clinton in last year's U.S. presidential race. The Democrats had always been the party of organized labour, the party that authored protectionist policies that supported jobs and companies in the American heartland. 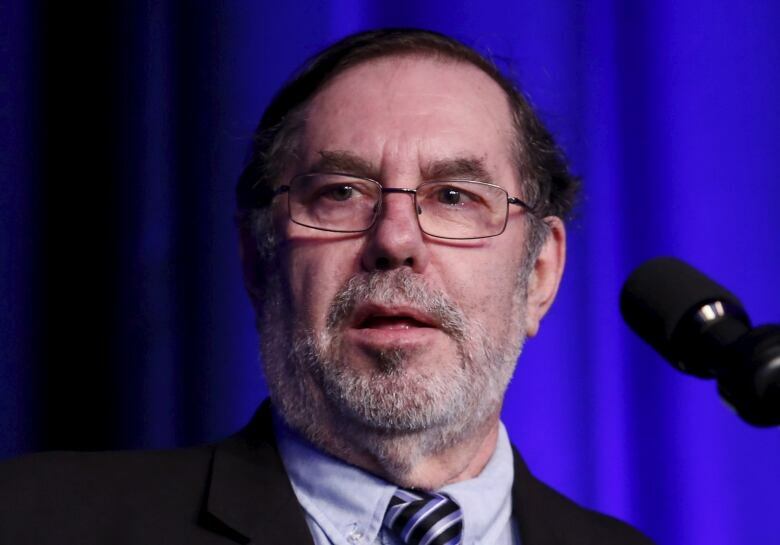 But the Canadian who leads the United Steelworkers, one of the largest and most powerful unions south of the border, says his membership had other ideas. 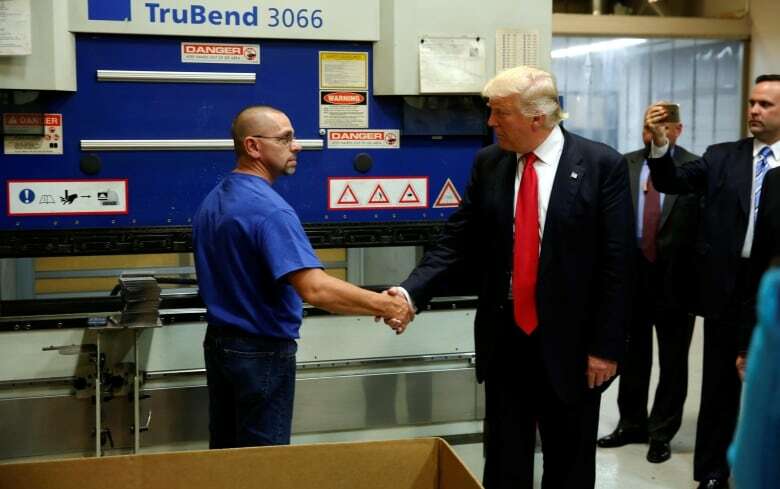 Leo Gerard concedes Donald Trump's message that he would protect jobs, renegotiate international trade deals like NAFTA and punish companies that export work to China and Mexico appealed to a wide swath of his union's 850,000 rank and file. "I couldn't begin to tell you how many of our members told me to my face, at the plant and other events, that Donald Trump is the only person who's talking about bringing jobs back from China. Donald Trump is the only guy who would put a tax on people who move jobs offshore and then try to sell back into our market." Steelworkers weren't the only union members who saw a champion in Trump. The Democrats lost states like Pennsylvania, Ohio and Michigan, each with large unionized workforces. These states had reliably voted for Barack Obama, but union members turned their backs on Hillary Clinton and ignored their own leadership's support for the Democrats. The disconnect isn't lost on Gerard, who still commutes regularly between the union's headquarters in Pittsburgh and his home city of Sudbury, Ont. "Donald Trump had no ideological commitment," he says in an interview airing Saturday on CBC Radio's The House. "And what he did in this round was he took the agenda — and I say this both with some pride and some embarrassment — that we've been advocating for 35 years about trade, about jobs, about investment, about infrastructure. What our members concluded is that this is the first guy who's talking about our issues." But can he be trusted to follow through? And if Trump does, what will it mean for Canada? Trump's policy proposals are protectionist at their very core. He's threatened to impose tariffs on imported goods and material. He's left open the possibility that the $1-trillion infrastructure program he's proposing will bring back Buy American requirements that could shut out Canadian bidders. For example, should Trump follow through with his campaign promise to approve the Keystone XL pipeline connecting Alberta oilsands to refineries in Texas and Louisiana, it's not clear whether the Canadian company proposing to build it would be required to use only American steel. On Friday, Trump spokesman Sean Spicer suggested for the first time that retaliatory trade measures threatened against Mexico could also apply to this country. "When a company that's in the U.S. moves to a place, whether it's Canada or Mexico, or any other country seeking to put U.S. workers at a disadvantage," Spicer told a conference call, then Trump "is going to do everything he can to deter that." 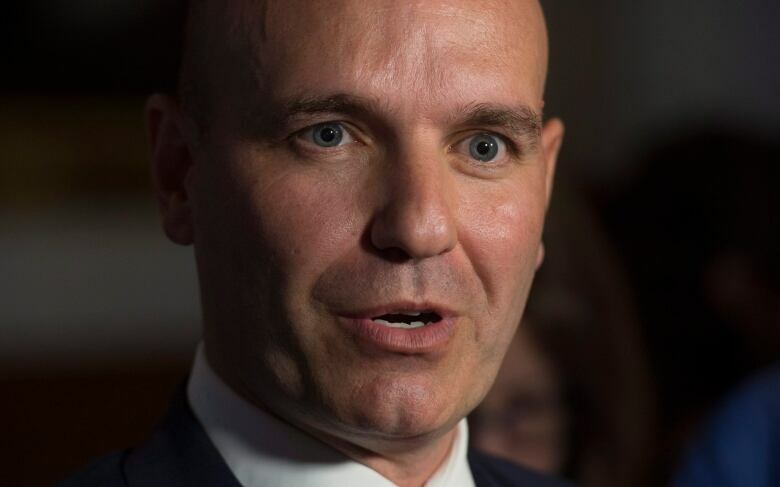 New Democrat MP Nathan Cullen says Trump's unpredictability, and his vanity, make it difficult for unions or anyone else to take what he says at face value. He says working people in both Canada and the U.S. should read beyond the large print of Trump's tweets that promote his business acumen and suggest only he can make America great again. "You don't know whether what he says Monday will still apply on Tuesday." Steelworkers have already had a taste of that. 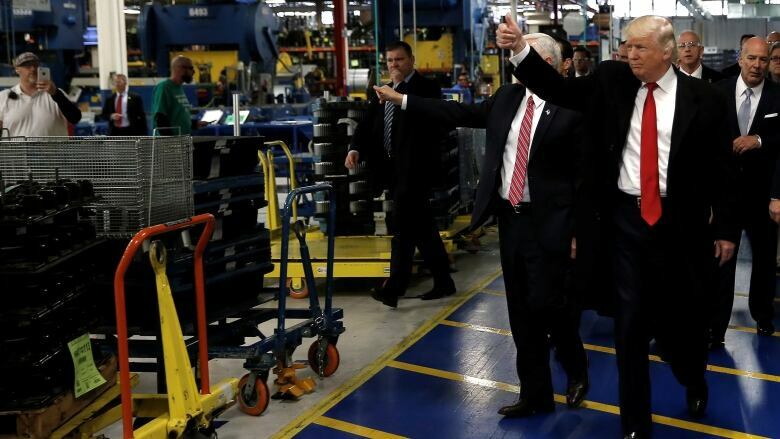 When the local union president challenged Trump's claim that he'd saved 1,100 jobs from leaving a Carrier plant in Indiana for Mexico, the president-elect immediately took to Twitter. "If United Steelworkers 1999 was any good they would have kept those jobs in Indiana. Spend more time working, less time talking. Reduce dues." Trump's declarations about the economy seem, at times, to be driven by hubris, but are most often driven by his fixation on Mexico and China. 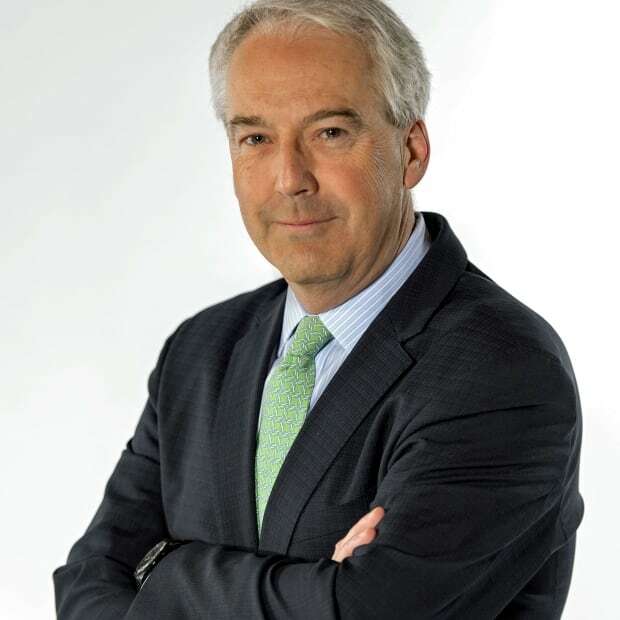 Chad Rogers of Crestview Strategies, a public affairs and lobbying firm with clients on both sides of the Canada-U.S. border, doesn't believe Canadians should be overly concerned. "Canada's not a target. And Canada's not an ally," he says. "Trump has bigger concerns as he prepares to take office. He will be held accountable for the commitments he's made to bring back jobs from Mexico and China. There is no issue with Canada." Gerard doesn't believe Canada's a Trump target either. Leading up to Friday's inauguration, he's underscoring how deeply integrated supply chains are between Canada and the U.S., and using his platform as the Steelworkers' international president to argue Canadian goods and products should be considered domestic content. Prime Minister Justin Trudeau has been very careful to emphasize the importance of the bilateral relationship, the close economic and cultural ties, and his commitment to work with the Trump administration on issues of shared interest. 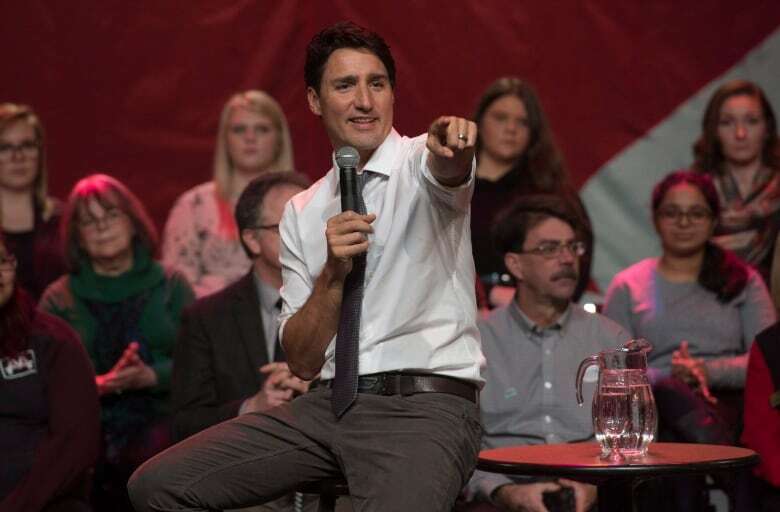 But the prime minister added a new wrinkle this week during a stop on his get-back-in-touch-with-ordinary-Canadians tour, a wrinkle intended to highlight his willingness to defend his progressive convictions to Trump. "I'm never going to shy away from standing up for what I believe in, whether it's proclaiming loudly to the world that I am a feminist, whether it's understanding that immigration is a source of strength for us and Muslim-Canadians are an essential part of the success of our country today and into the future," he said Thursday. It was a line intended for a Canadian audience. But Trudeau was quick to direct attention back to the importance of the U.S. relationship. "But these are issues … we can have discussions on and respectful disagreements on with our neighbours to the south. If indeed we have to have disagreements on them," he said. "But every step of the way our focus is on making sure that Canadian businesses, Canadians and their families have good jobs, have economic growth, have opportunities."